Prim and Propah: Stylish Blogger, What What? Well a thank you very much Miss Angela Flicker of The Artist's House, you have very sweetly given me the Stylish Blogger Award! I have to thank Angela because I joke that she is my blogging mentor... her blog is one of the first creative blogs that I really took a shine to and LOVE to read. She also let me creepily befriend her via Twitter Haha ;so thanks Angela for being awesome! If you haven't checked out her blog, please do yourself a favor and hop on over there! So this is how the award works. Honorees do the following: thank and link back to the person that awarded them, share 7 things about themselves, and pay it forward to 15 recently discovered bloggers. This is a great way to make some hard working bloggers feel special! I know I work pretty hard to make my blog stylish and in the very least, decent to look at and read... ok, so let's get to the juicy stuff! It took meeting my boyfriend to really believe in myself creatively again. Going to school for Business really took a lot of the creative juices out of me. He is the guy who gave me the push to be a "crafter" again and blog about it. He is the guy who encourages me even when he might not know what he is looking at. He is the guy who reads every single blog post. He is my biggest supporter. I am a Bravo TV addict. No ifs, ands or buts about it. I will watch 99% of any programming on Bravo. It's probably pretty pathetic but I don't care. Real Housewives of Poughkeepsie? I'd watch it. Celine Dion has been one of my favorite people since I had her on cassette in the early 90's. 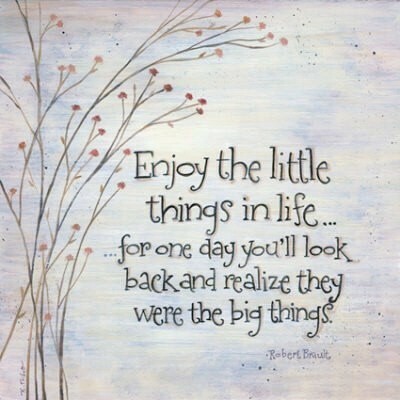 Think Twice? Almost best song ever. I met her in person and she was dazzlingly French Canadian. I collect fabric like it's going out of style and in the process am probably collecting fabric that actually is going out of style... so all in all, I have a lot of fabric. Human suffering, in any shape or form, even my own, keeps me up at night. I worry a lot. Even though I don't know you per se? I'll worry about you, so don't worry. 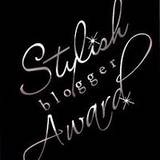 I really appreciated the Stylish Blogger Award. More than anything? I am really happy to have some great blogging encouragement out there. My blog just turned 6 months on the 4th of January and really, I cannot believe how far a little hard work and encouragement has taken me so far. The online creative community is an amazing one and I am so happy to be a part of it, every little part of it. Yay, congratulations!!!!!!!! It takes so much courage and bravery to create a blog out of the internet ethers. You definitely deserve this award! When I first saw your comments during the crafty blog hop I was struck by what a cute name you picked for your blog, too. Love it!